This magnum bottle will surely impress at your next celebration! This vintage of our Pinot Noir expresses classic Russian River Valley aromas and flavor of dark fruits and forest floor complexity. 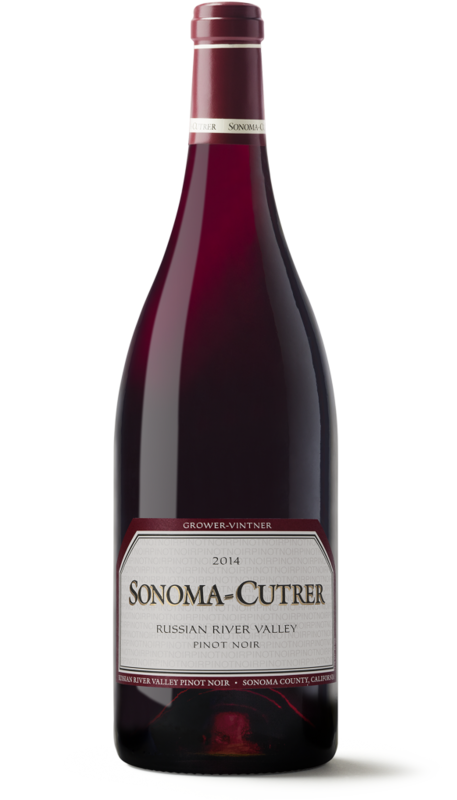 This wine is round, silky, and elegant with a juicy texture and a wonderful long finish, expressing all the hallmarks of a great Russian River Valley Pinot Noir. The first impression starts in the nose with deep, dark fruit aromas of cola and cassis, followed by a touch of cedar wood complexity accented with hints of cola, tobacco, licorice, and baking spices. Classic red fruit flavors of Bing cherry and wild strawberry greet the palate, followed by barrel spice and dark chocolate. Aged in regimen of one-third each of new, once-used and twice-used French oak. After resting for 10 months, the final blend is prepared for bottling. It then ages for six months in bottle. Our Owsley and Vine Hill vineyards provided the Pinot Noir for this vintage. Combined with a variety of soils and clones, the vineyards provide a beautiful variety of elegant fruit. Tasting wine begins well before the liquid ever touches your lips - it starts with a look, a swirl, and an intake of breath. The swirl serves to open your vintage and introduces oxygen which creates a bouquet of aromas and allows you to gauge viscosity and alcohol content. 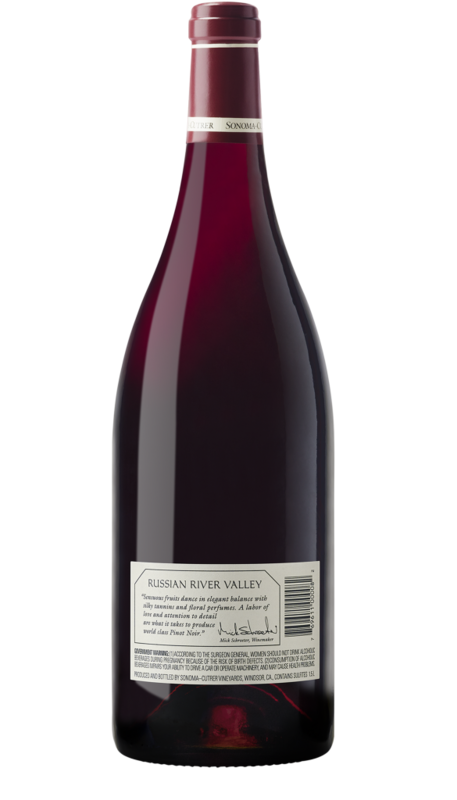 Our Russian River Valley’s swirl showcases its deep rosewood coloring indicative of a finely developed pinot noir and highlights aromas of cola and cassis with a touch of those classic red fruit flavors and a barrel spice. Very good chardonnay. Slightly buttery with a faint apple acidic finish to keep it fresh - no oak. Apple and alchohol on the nose. 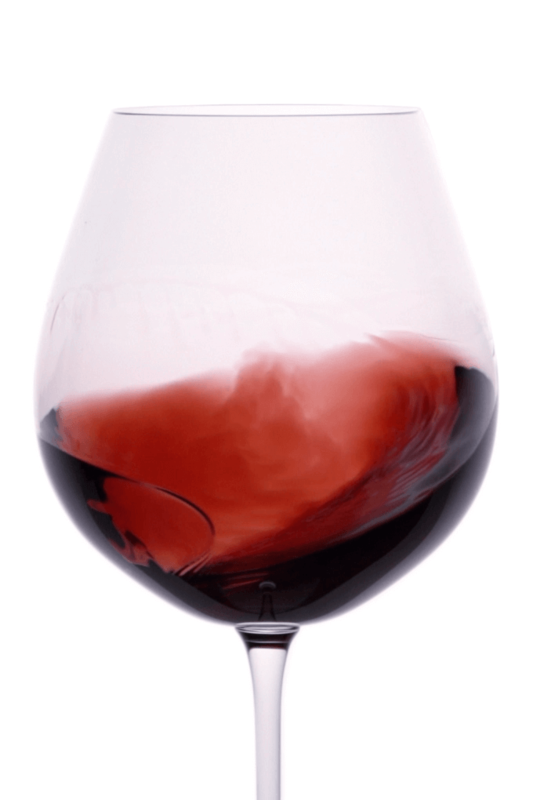 Pinot noir is one of the most versatile red wines. Pair our silky and elegant Russian River Valley Pinot Noir with a savory beef Wellington or rich and meaty morels. These marinated mushrooms are so easy to prepare and can be used with your favorite flavored vinegar. Perfect with turkey! Pomegranate molasses is readily available in Middle Eastern grocery stores or on-line. Pomegranate molasses also referred to as pomegranate syrup, is a tart-sweet reduction of pomegranate juice with the consistency of maple syrup. It’s used in the cuisines of the Middle East, India, Armenia, and Georgia. Pomegranate molasses varies in taste, color, and viscosity by region. This dish is absolutely perfect with the Russian River Valley Pinot Noir. Serve these Lamb Meatballs as bite-sized appetizers or combined with your favorite pasta dish. Enjoy with a glass of the Russian River Valley Pinot Noir.